You are currently browsing the tag archive for the ‘cute superheroes’ tag. 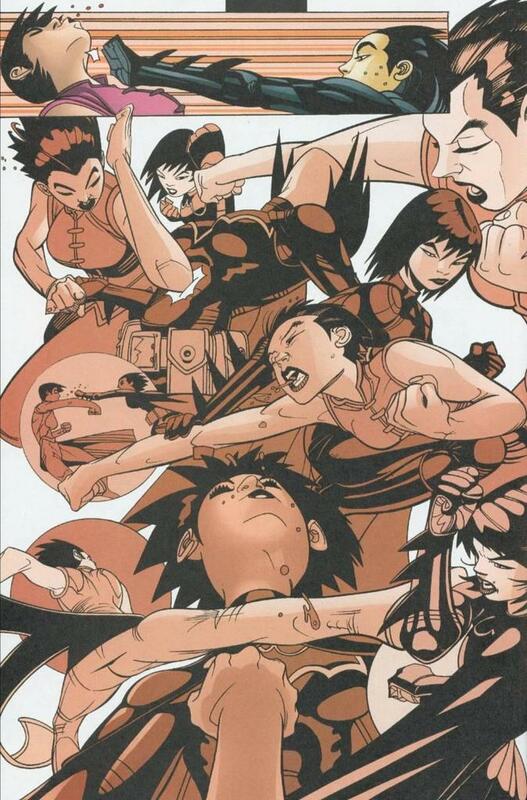 30 Days Of Superheroines – Day 01! 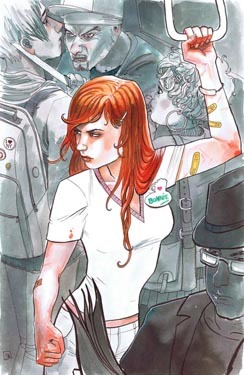 So in honor of THE GIRL WHO WOULD BE KING and the two kickass superpowered teenage protagonists I’m going to do a superheroine a day for the entire run of my Kickstarter. 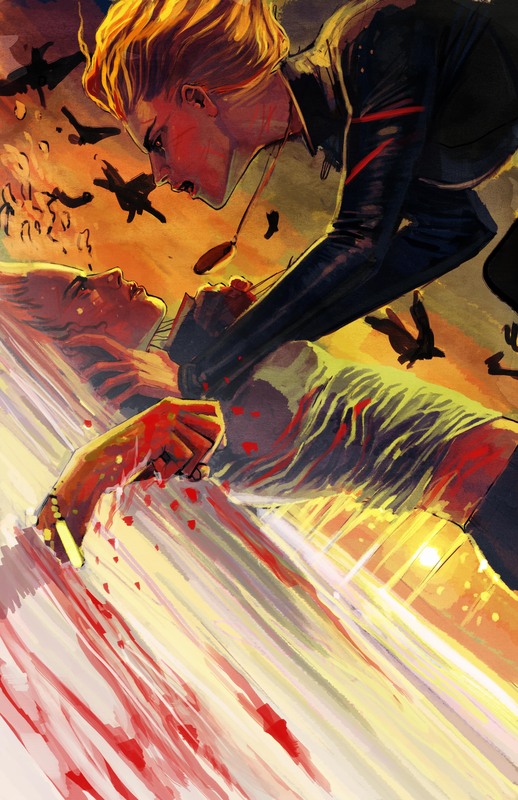 I’m not going to write a big thing for each post, but I’m going to post tons of gorgeous art – both professional and fan art – to celebrate these great characters. I’m going to do my damndest to link back and credit, but if I miss something, please forgive and correct if you’ve got the right information in the comments. Today we’re naturally starting with BONNIE & LOLA and I hope you’ll all enjoy them mightily. There’s of course not a lot of fan art out yet for Bonnie & Lola since everyone is just meeting them, but a couple really wonderful people have already given me some art for them to get the ball rolling. And THIS one by Stephanie Hans – an original painting of Bonnie – from a scene in the book – and available for purchase on Kickstarter! This has been so much fun already that I could just die. Some of you may know that I have this book called THE GIRL WHO WOULD BE KING that I almost sold to a major publishing house in the summer of 2010. Since then it has gone on a shelf while I wrote another book, hoping the new book would be “less violent” and “more YA” (which were the ultimate reasons given that THE GIRL WHO WOULD BE KING didn’t sell). I hoped to sell it later…perhaps. However after seeing Hunger Games in theaters this spring, I realized that THE GIRL WHO WOULD BE KING, awesome as it was, was maybe never going to be “YA enough” or “Un-violent enough” (not a word!) to suit the larger publishing market. So I decided to do a Kickstarter for it and self publish. 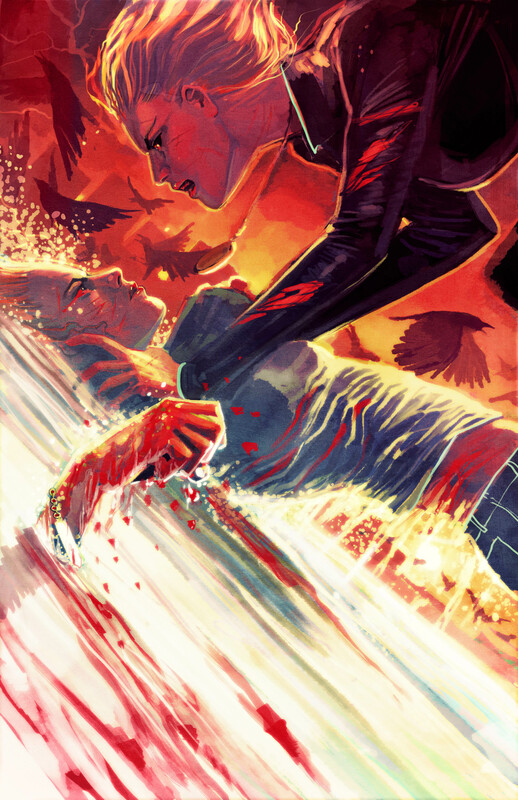 That got put on hold as well (for a reason I hope to share with you all soon) but in the meantime I had already commissioned the absolutely fantastic Stephanie Hans to do my cover illustration for the book. If all goes well, you all will be seeing the final cover illustration (and hearing more about the Kickstarter) sometime in June. Stephanie, in addition to being a brilliant illustrator, actually read the entire book (it’s big) in order to do the cover work, which is above and beyond everything I could have hoped for. Perhaps even more amazing, she loved the book, and I think you can see how much in the quality of her illustrations. 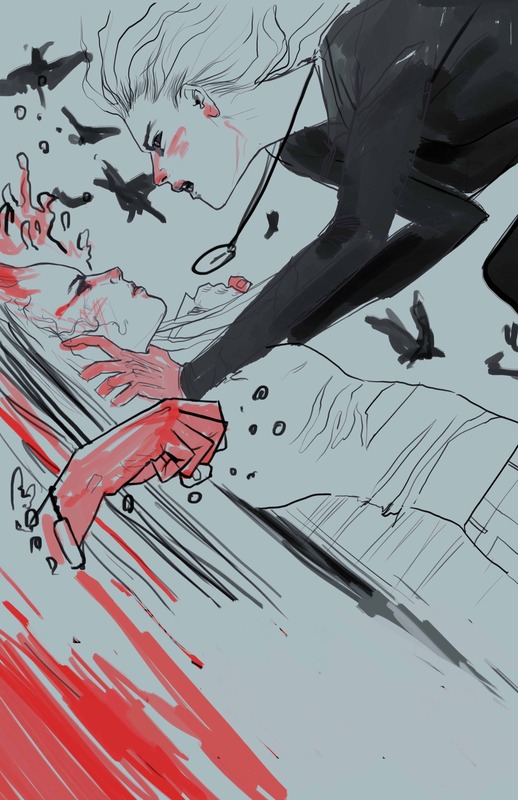 Below is a sketch that (though it’s perhaps my favorite of all the sketches she did) was more appropriate for a comic book than a novel and so we didn’t move forward with it. But Stephanie liked it so much that she kept on going…and the results are unbelievably cool. So world…please welcome Bonnie and Lola into the world…two wonderful badasses that I love – and hope you’ll all get to read more about soon! A huge thanks to Stephanie, who went above and beyond, and is generally the best person ever. Buy her work here! 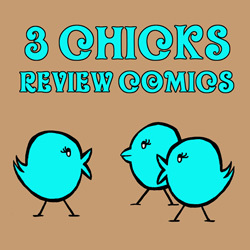 3 Chicks Review Comics – Episode 006! A new episode of 3 Chicks Review Comics is up on CSBG and pod-o-matic! 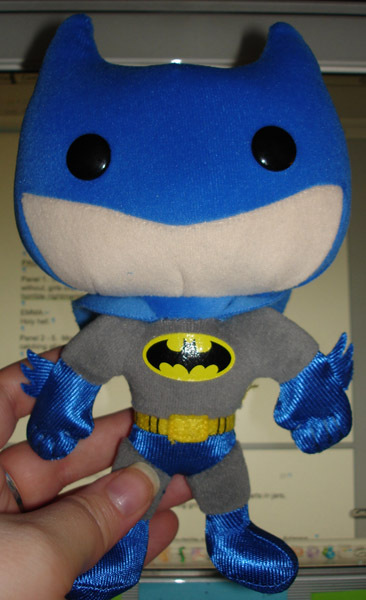 Sometimes belated birthday presents are even better than on time ones…especially when they are adorable plushie Batmans! Thanks Adam!